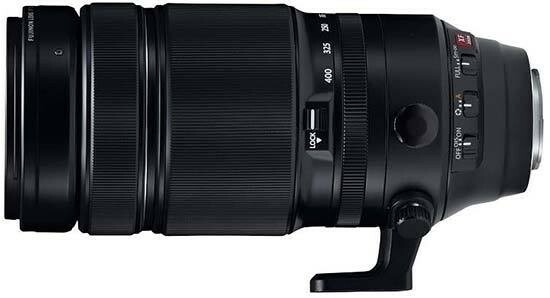 Reviews of the Fujifilm XF 100-400mm F4.5-5.6 R LM OIS WR from around the web. Well I can finally unveil my findings on three months of testing the new Fujinon superzoom for the Fujifilm X-Series. Fujifilm Japan asked me and three fellow X-Photographers John Rourke, Andrew Hall and Dirk Bogaerts to try a very early prototype of the lens at the WEC event at Fuji Speedway last October. The results were very impressive despite the fact that Fujifilm had only assembled the lenses we were using two days prior. We fed back our initial findings on returning the lenses to Tokyo on the Monday after the race. Fujifilm continues the fleshing out of their already impressive lens lineup with their first supertelephoto offering: the Fujinon XF 100-400mm f/4.5-5.6 R LM OIS WR. This telephoto zoom has an angle of view similar to a 150-600mm lens on a full-frame camera, providing some serious reach for the Fuji X-Series cameras. The $1,899 asking price makes this the most expensive lens in the X-Series lineup, and given Fuji’s reputation with the other excellent XF lenses, expectations are high for this zoom.